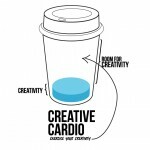 Creative Cardio is all about challenging your creativity! Jayar Reeves & Scott Herrold are available to lead your staff in brainstorming or in ways to connect what they do on the air with social media/web strategy. The Creative Cardio team can tailor social media models & strategy to engage your listeners better in your community. We love to help your staff connect with they do on the web to what they do on the air! We can show you how this drives ratings, revenue and relationships! Artist media training for record labels. Facilitates brainstorming sessions for radio stations & other ministries. Social media/web strategy for artists & radio personalities. Artist CD launch promos/product launch commercials & long form interviews. Coaching for new air personalities.